For everyone that's going to be going to the Red Rose Cafe on Friday, you better start brushing up on the lyrics for the "Sing a long!" 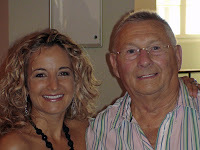 Here's the link on Translations where Sonja has them in Dutch and English. Arie went to see Carla at the Aachen Theater Sunday (June 22) There he got to meet with Carla who introduced him to Olga Caspruk, her colleague in "The Platinum Classical Duo", and Manoe Konings. They all had a nice chat and took some photos together. 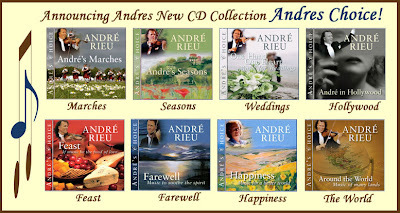 A Glimpse of Andre's New CD Set To Be Released in July!
" Andre's Choice" ~ To Be Released in July! 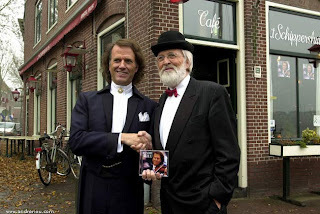 For the first time EVER themed André Rieu CD compilations! Here's a peek at his new CD set that will be coming out in July. Three of the CD's have Marc's artwork on the cover. You can see right away which three they are~Very pretty! What's nice is we will be able to buy each CD individually. Click below for the link to the track listings. Thank you Jann for the heads up on this! Good Luck To The Netherlands Soccer Team Today!! Monique sent us these pictures and I think they're Self Explanatory! Thank you for sending the little banner Alice!
" 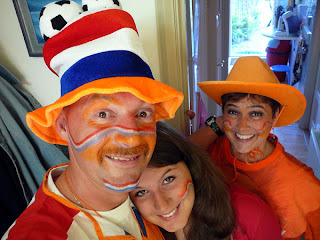 Orangemania In The Netherlands!!" 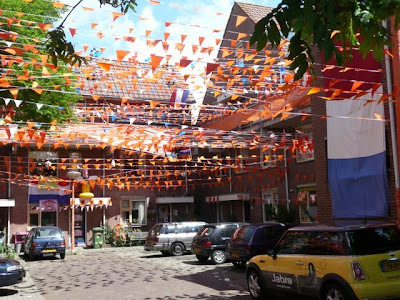 "Look at the ORANGEMANIA on my street! Our soccer team won three times, from Italy, France and Romania. Next will be Russia and then the final match??? Maybe European Soccer Champion?? 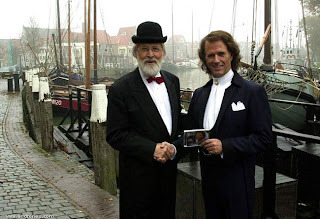 The final match is on June 29th, so one day after our Amsterdam concert. 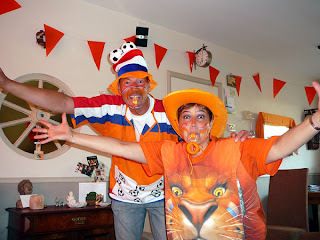 I guess the Dutch people will be dressed in ORANGE at Andre's Concert!" ~ Ineke. Click on the Headline above the picture for the ESPN link to it. 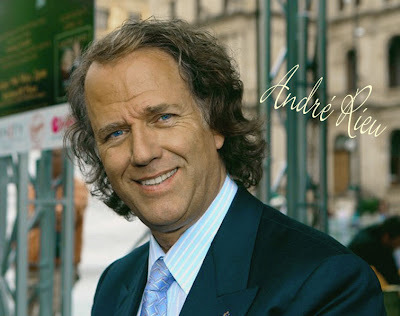 Click on the link below for an interesting article in the "Australian Financial Review" about Universal Music regarding Andre's promotion and success in Australia and some answers to some questions many of us have had. Thanks Jann for sending this, very interesting! I couldn't hear too well what this woman was saying from where I was sitting, but I did speak to her when exiting the hall. She interchanged with Andre twice in the first half and the second half. I think she used to play the violin and Andre did not seem annoyed at all, in fact this lady was the life of the party I thought. Earlier Andre was playing with her as she was waiting to come to her seat. She stood to the side not wanting to walk in front of Andre. 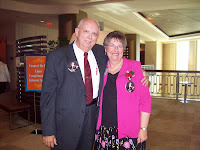 He motioned to her and her husband to come and sit down. Andre said, "it’s okay look there are two seats right there", they were actually sitting in the first few rows in the front . So, all the attention was on her and her husband as they were sitting down and Andre seemed to enjoy the diversion. While the dialogue was going on between her and Andre, she mentioned she loved to dance. 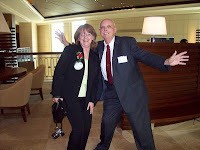 Then she pointed to the gentleman next to her (her husband) referring that he couldn't dance. 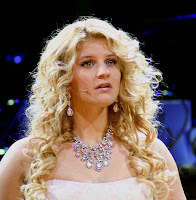 At that moment all the attention was on her and Andre. The audience responded with laughter. 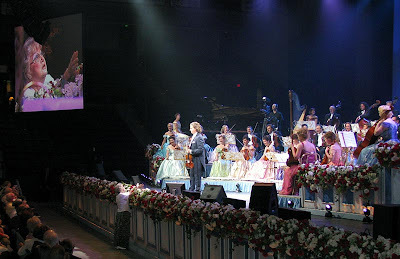 After intermission at some point she walked over to the stage and again dialogued with Andre about her violin and that's what's happening in the picture shown. We could not hear what was being said, but whatever she was saying Andre was responding to her with "um hum". He let her speak, but it also seemed it was time for her to sit down so he could move on with the show, she again went back to her seat and sat down of course. When playing the Blue Danube another gentleman came over to her and asked her to dance and when she got up to dance with him there was an audience applause. It was quite cute …she was having fun and this was her very first live concert! She said she never leaves home but that night she did, and what a night she had! 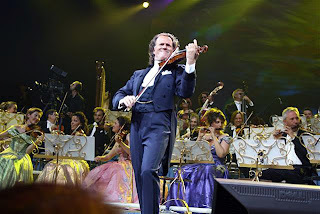 ~ Martha S.
We Stayed At André Rieu's Hotel Too??? The following is a description of a "funny" incident that happened to Claude and I when we stayed in Ottawa for the concert. Alice has done a great job in describing the concert in her report, and I don’t want to repeat her. 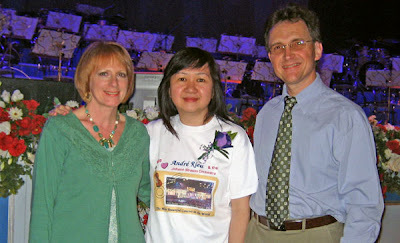 But I do want to say that it was a pleasure to meet Alice and her parents at the concert. Alice and I had corresponded through Sonja’s Guest Book, but we hadn’t met before. 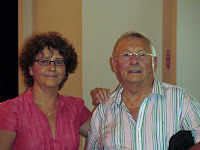 I’m so glad that she and her parents came to the Ottawa concert. 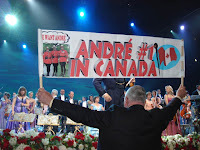 They really helped contribute to the lively atmosphere by handing out the 300 André/JSO flags that they had made. The crowd loved them – as well as André (as you can see from Alice’s video)! 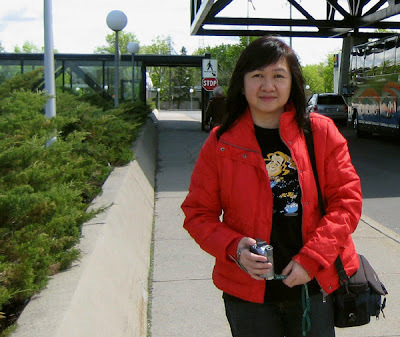 After reading Alice’s report I realized that we had stayed at the same hotel. I’m so happy for Alice that she had the chance to meet some of the orchestra members, and get Mirusia and André’s autograph! Claude and I had different experience. We drove from Quebec City on Friday afternoon. When we checked into the hotel I noticed there was a sign in the lobby about a convention. I thought to myself with the convention, the Tulip Festival and the May long weekend that the hotel was probably booked to full capacity. 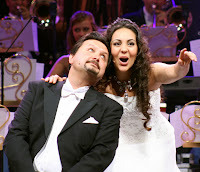 So I dismissed in my mind the idea that André and the JSO would be staying there. Claude and I spent Friday evening and the day of Saturday visiting Ottawa and discovering the beauty of Canada’s capital city. 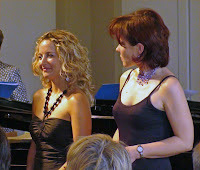 Saturday evening we went to the concert and enjoyed it thoroughly! We were so thrilled to have front row seats in the centre section! After the concert, we returned to the hotel, had a bite to eat and slept in Sunday morning. Sunday afternoon we checked out of the hotel. 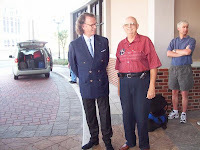 Claude went to get the car and I was with the bellboy who came to help with our luggage. 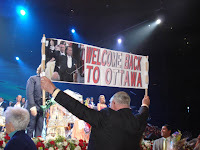 When he asked why we came to Ottawa, I told him it was for the Tulip Festival and the André Rieu Concert. Then he asked me, "Did you know that André’s personal manager was in the room next to yours?" "And," he continued, "André was on the same floor at the end of the hall." He also explained that the JSO had stayed on the same floor, as well as the floor below. I was so surprised!! At first, I couldn’t even believe it! I kept asking him questions and he explained that André had come in late the night before and they had left early in the morning. 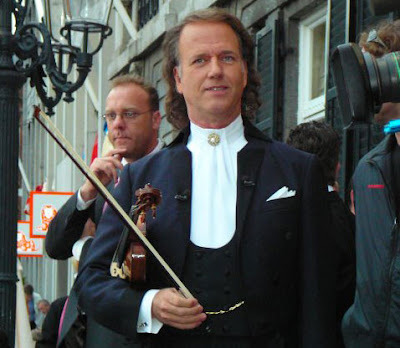 I just couldn’t believe though how Claude and I could stay at the same hotel and be on the same floor as the Rieu Company and not even realize it!! 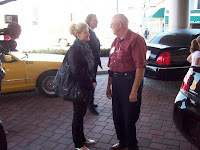 But I thought it was interesting that I happened to meet a hotel employee who informed me. Otherwise we would have been totally oblivious! 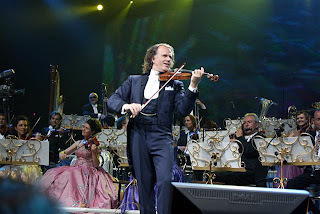 André Rieu Photos in Reading From Laurie! John just got his computer going again and was able to send me more pictures of the Atlantic City Concert and Fan Dinner. I have added them to the other Photoshow, but also made a separate one here for you to see them by themselves, as they would get lost now in all the other pictures. 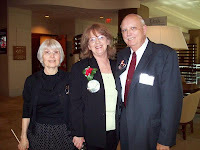 Karen and Claude Noel were at the Ottawa Concert that Alice was at ... here is a Photoshow of some of the pictures they took. Also Beautiful pictures from the Canadian Tulip Festival. 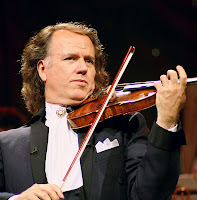 Come With Alice on Her Trip To See André Rieu in Ottawa, Canada! 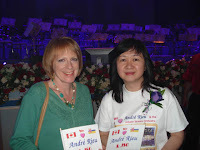 to read Alice's Report on her trip to Ottawa with her family to see André. Oh my gosh, what a time she had! You have to read all of it. Not only does she have the concert photos, but Beautiful photos of Ottawa! The Department of Ottawa Tourism should hire you Alice! 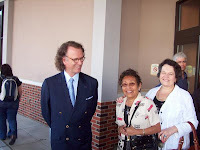 For those wanting to see Johan, here's a picture from Ineke. but Johan is Andre's "Personal Body Guard." you will see Johan with him. The Photoshow is a work in progress, and I have added more photos. Thank You! 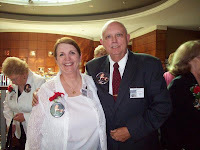 Doug, John, Siggy, Robert, Kathy, Vasilia, Sonja and Eileen for all the photos they sent us!! 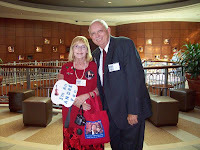 DJ Bob's Pictures of His Weekend In Atlantic City! What a Weekend Robert (DJ Bob) Had In Atlantic City! His pictures speak for themselves! !